Purple magazine is a great publication that is based on the concept of fashion. This comes much grounded in the category of art and culture but clearly it is much more inspired by the fashion in the French culture. Buy a single copy or subscription to Purple magazine. Purple magazine is a great publication that is based on the concept of fashion. This comes much grounded in the category of art and culture but clearly it is much more inspired by the fashion in the French culture. This magazine was published in France in 1992 and was soon popularized after that. The magazine having high tastes in culture and art was followed by a great population of enthusiast and experts in the sector. 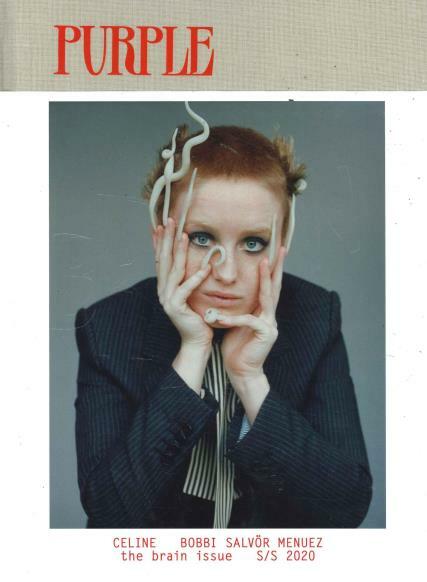 This magazine was initially a reaction to the superficial culture of the 1980s and the anti-fashion culture of the time which was trying to subvert the fashion and the literature that talked about fashion. Purple magazine was a great movement in the form of prose, article, magazine, and other various kinds of texts. The magazine is a king of publication that is trying to promote fashion and is a kind of ‘fanzine’. In 1992 the prose version was launched whereas the old version of the magazine was released much later in 1995. The newest version has been launched in 2004 as well as the online counterpart. The language of the magazine is available in French and English and is thus able to reach out to both kinds of readership. This is a magazine that is released twice in a year and this is why the popularity is immense. The immense reaction is because the demand is high but the supply is low as compared to that. The hub of this publication being Paris, the location is grand and is able to cover all the newest development in the world of art and culture and fashion. The fashion photography that the publication inserts is the most brilliant and highly attractive. Thus, if you want to get hold of the last issue and other older issues, the versions are highly accessible and easily available. Grab a subscription, to get all issues, without missing a single one.